Zalmoxidae is a small family of Laniatores with a very curious distribution. Just over 200 species have been described, with potentially hundreds more awaiting formal description. A phylogeny is shown here. 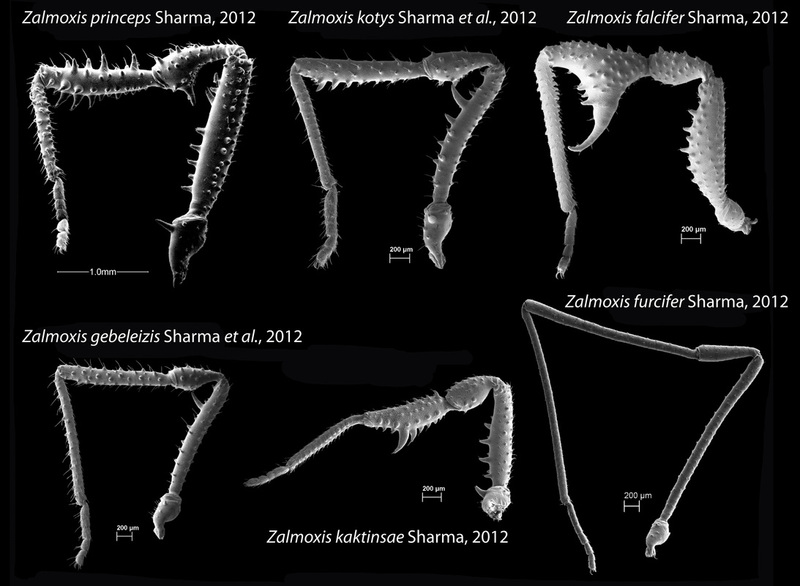 Subsequent to taxonomic revision, the Indo-Pacific zalmoxids are restricted to a single genus, Zalmoxis, comprising 62 species. Males of this genus bear sexually dimorphic legs, which can be greatly enlarged and embellished with armature. 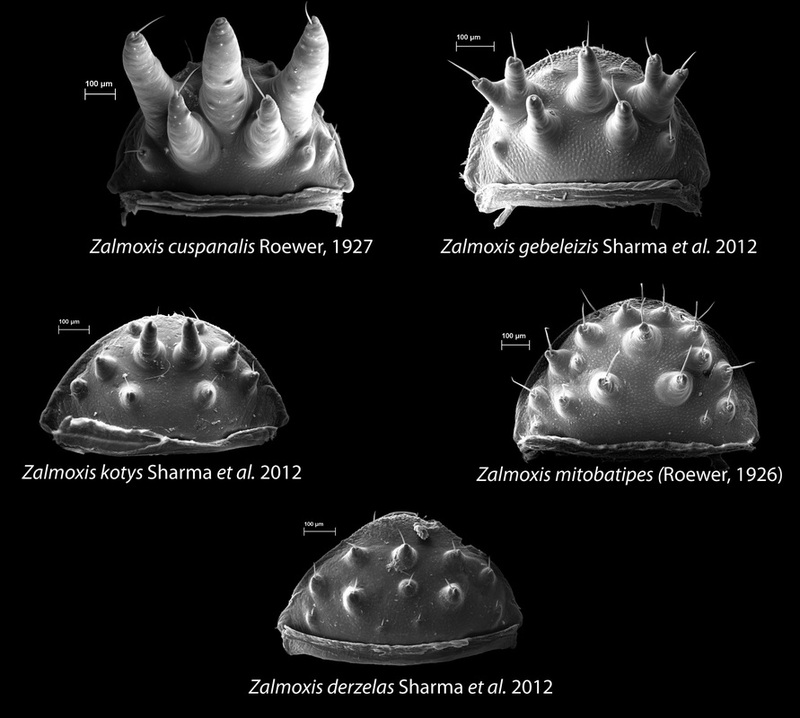 Sharma (2012) Zootaxa 3236: 1-35; Sharma et al. (2012) Zootaxa 3280: 29-55. Some species from Southeast Asia also have sexually dimorphic armature on the posterior plate. Sharma et al. (2012) Zootaxa 3280: 29-55.